“If any man be in Christ, he is a new creature: old things are passed away; behold all things are become new” (2 Corinthians 5:17). Whenever any person becomes a new creature in union with Christ, he or she becomes a new person altogether. There is a whole new creation whenever a person comes to be in Christ. The effect is the old life is passed away and a new life has begun. Everything becomes new in Christ. The person who is in Christ and has experienced the new birth is a part of the new creation. We are new creatures in Christ Jesus. There has been a re-creation in which God has given us a new set of senses, values, and spiritual principles. Before we were spiritually blind, now we see with spiritual eyes, and we see all things new. Before we were spiritually deaf and we could not hear God’s Word, and now we have a new set of spiritual eyes and we hear and respond to the Holy Spirit. Before our minds were in spiritual darkness, and we called bad, good and good, bad. Now we have the mind of Christ and we see the difference between that which is good and that, which is evil. Our minds are now being renewed day by day. Before our hearts were hardened to spiritual truths, and we hated God and the things of God. Now God has changed them from hearts of stone to hearts made alive to the things of the Spirit. 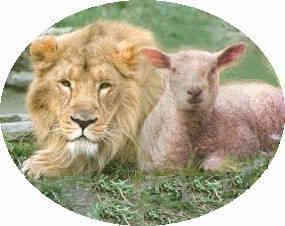 Before we were spiritually dead, and now we have become new creatures in Christ Jesus. Before we were a people without hope and now we have a living hope in Christ. Apart from the resurrected, living Christ we cannot have any true hope of anything beyond our grave. Before we were without God in this world and now we have come to a living relationship with the one and only true God. We were separated from Christ and without God, but now we have an intimate personal love relationship with Him. We were “dead in our trespasses and sins,” but now in Christ we are made alive and have been brought near through the blood of Jesus Christ (Eph. 2:13). God has brought us near to Himself through the atoning blood of Jesus. There are no other legitimate means of coming into His presence. Before we were “cut off” and “excluded from the citizenship of Israel,” but now we are no longer foreigners and aliens but fellow citizens with God’s people and members of God’s household” (2:19). Now we are citizens of heaven and sons of God. Before we were cut off from the covenants and promises of God, but now we are “members of one body, and sharers together in the promises in Christ” (3:6). Before we were “without God,” but now we are “members of God’s household” (2:19-20). Please take a few moments and draw a line down the middle of a sheet of paper and think about what your life was like before you became a Christian. In the other column list what it has been like since Christ changed your life. This is what my life was like before I became a Christian, and this is when I put my faith in Christ to save me. Now these are the changes Christ has wrought I my life. Then take a few moments and reflect upon what you shall be like when Christ returns, or when He calls you home in death to be with Him in heaven. What a great new life we have in Christ!